It may be possible to arrive earlier and depart later if outside peak holiday season but this needs to be arranged in advance and usually unable to be confirmed until the week prior to your arrival. Unfortunately even with our polite check in policy some guests attempt to check in earlier than 4pm and are then very disappointed when unable to gain access to the property. We are not trying to be awkward with our timescales; the cottages are 5 Star Gold and between the level of Standards we have set ourselves to give and retain plus the Standards set by the tourist board, our housekeeping team have to remove all evidence that anyone has been in the property prior to your arrival. In any home this takes a huge amount of time, effort and attention to detail – alot of the time carpet and curtains need shampooing, walls need washing and dishes need to be re-washed in order to ensure the highest levels of cleanliness & hygiene. These are tasks in addition to the normal clean that also needs to take place. Cleaning a bathroom takes at least 40 minutes plus the shower screen! This all needs to be completed within a 6 hour window. The team do not stop for lunch. The 6 hour window is based on a ‘perfect scenario’ and does not allow for any emergencies such as broken appliances, leaks, electrical issues etc. Dropping Luggage off or having Groceries delivered prior to your arrival is also something we are unable to organise as these things create an obstruction and can cause accidents to guests and staff. 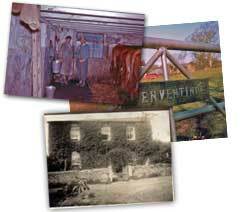 Penventinue Manor Farm cannot be responsible for loss or damage to guests’ personal items. With all the above mentioned, on the occasions where guests depart later than 10am it creates major panic amongst the team and can delay the cottage turnaround resulting in the arrival guests having late access to their cottage which is very unfair.